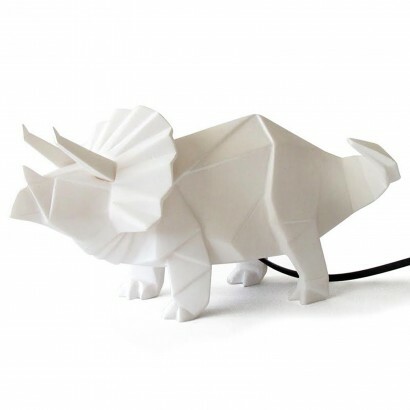 With their angular bodies and detailed design, you don't have to be a kid to appreciate just how cool these origami dinosaur lamps are. 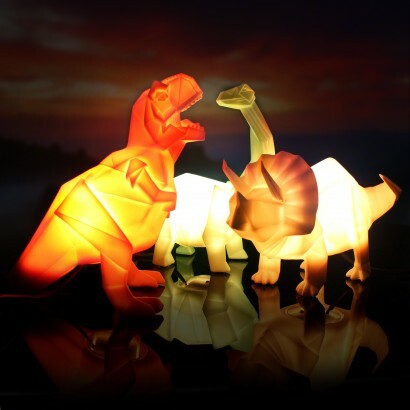 Available as a white Triceratops, an orange T-Rex or a green Diplodocus, these unusual lamps are lit by LEDs for a warm, inviting glow. 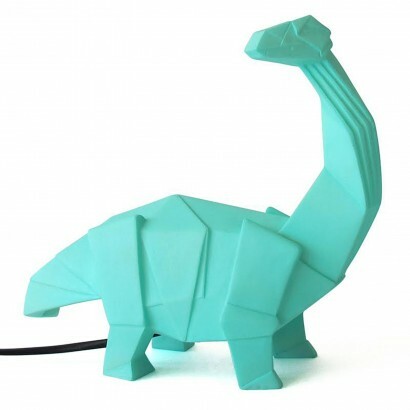 Perfect for kids rooms, each dinosaurs' unique features are detailed in origami style resulting in a very cool, modern looking lamp. 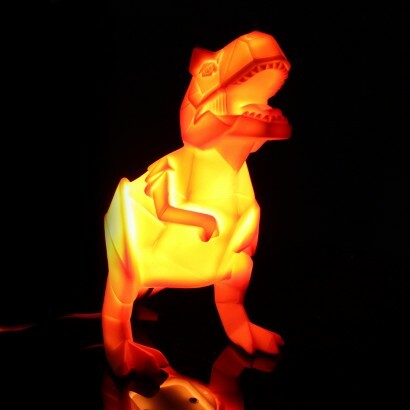 My 3 YO son loves this night light and I like it as it is sturdy and does the job it was bought for. Also the delivery was quick. 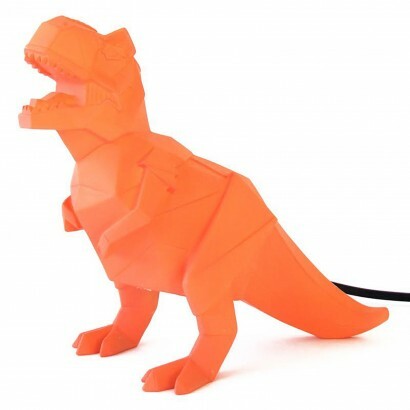 A very good product for the price.